!! OMG, new music for ’09: Theophilus London! !! Ever listen to Whitney Houston’s “I Will Always Love You” and wonder, “where the booty remix at”? 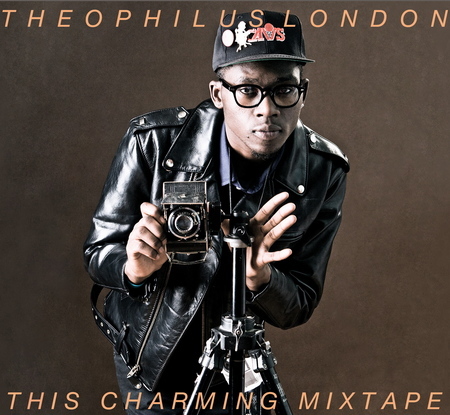 Well wonder no more because smartly-dressed Brooklyn rapper Theophilus London has dropped a club version of the seminal ballad on his new mixtape, “This Charming Mixtape”. Available for free download, the mix is peppered with feel-good R&B and gospel references, notably “O Happy Day” from Sister Act 2: Back in the Habit. But the highlight is easily “Always Love U”, which turns Whitney’s silky smooth vocal performance into cracked-out wedding DJ music. Download it below and grab the whole mixtape via Theophilus London’s MySpace. 3 Comments on "OMG, new music for ’09: Theophilus London!" The cover of Theophilus London’s This Charming Mixtape appears to be a homage to Elvis Costello’s This Year’s Model album cover from 1978.